Digital 90 Gold Mount Battery (14.4V, 93 Wh) is rated 4.0 out of 5 by 28. Rated 2 out of 5 by Highly disappointed from You aren't going to like my experience. Have 2 gold mounts for about 2 weeks now. One is causing my AB Interactive charger to want to Power Down, the other will last about 1 hour on my Sony XDCAM F/355. I'm not pleased. The other issue is the size of the battery itself and the odd bulky shape that TOTALLY screws you when packing for trips. Why on earth they designed such an odd and bulky shape is beyond me but it's a really BAD design. For my sake I wish I had better news. Rated 4 out of 5 by Jonah from Better, but bigger I purchased a set of D90s for my Dragon as a light weight option when I'm using a steadicam, going handheld or using a lighter jib/hot head. Was expecting the same performance as comparable 90Wh batterys, such as Dionics, but these appear to out perform on run times as they make better use of the power they have by regulating output. They are safe to fly with in carry on, but be aware that they are light weight, but considerably bigger then the dionics, so don't pack as well. Definitely need to upgrade to the Performance series chargers as they don't seem to play as well on older chargers. Rated 3 out of 5 by Anonymous from Buy the Dionic HC Instead We purchased a couple of these to replace Dionic 90 batteries. We also have several Dionic HC batteries. On a Panasonic ENG camera we're getting about 2-3 hours max on these batteries. This performance is below what we used to get with the Dionic 90's. While they are more expensive, the Dionic HC batteries last twice as long. The new design by AB is also a bit awkward. First, it's difficult to place velcro on these batteries if you want to stick on accessories. Second, they feel cheap. The casing is much poorer quality compared to the other batteries in the AB lineup. They are also an odd size and make it difficult for us to access the p-tap on the side of the battery plate once the battery is on. These batteries do include a secondary p-tap, which is a nice feature. Rated 3 out of 5 by Yoram from Why so big? It's nice that AB are out with a new battery design. The LCD provides plenty of information and the batteries seem as smart as always. The one thing that puzzles me is the size of the new battery. It is gigantic compared to the old ones, which makes it more bulky, take more room and not always fit in tight spaces. Rated 1 out of 5 by NBCGuy from Not good at all where is my old Dionic Where do I start. First off the battery is to big to be placed on a camera. Yes lighter body but takes up to much space. Second once I gave it a cycle the LCD just didn't work and had to reset the battery. This happened to six out of eight. My Switronix HyperCore has worked flawless and I will be switching to All HyperCore Gold's as they charge on AB chargers. Rated 5 out of 5 by John from Excellent Upgrade from Dionic 90 Love the new design of these batteries. The rubberized texture is easy to hold. I haven't dropped any of the new ones, YET, but they definitely look like they'll hold up better than the hard plastic of the Dionic 90s or the old fashioned AT Bricks. We use these batteries for both on camera and with our ikan LED light kits. A single Digi 90 battery will power a 512 LED fixture for more than 3 hours, which is AWESOME!! Rated 1 out of 5 by HarryNews from Disappointed A big step backward for Anton Bauer. The battery is overly bulky and the charger is glitchy. Cross-compatibility with older (read: better) Anton Bauer products seems also not to be the 100% as promised. I used to love Anton Bauer but I am not happy with these. Rated 5 out of 5 by homerc67 from Good battery, very good value. 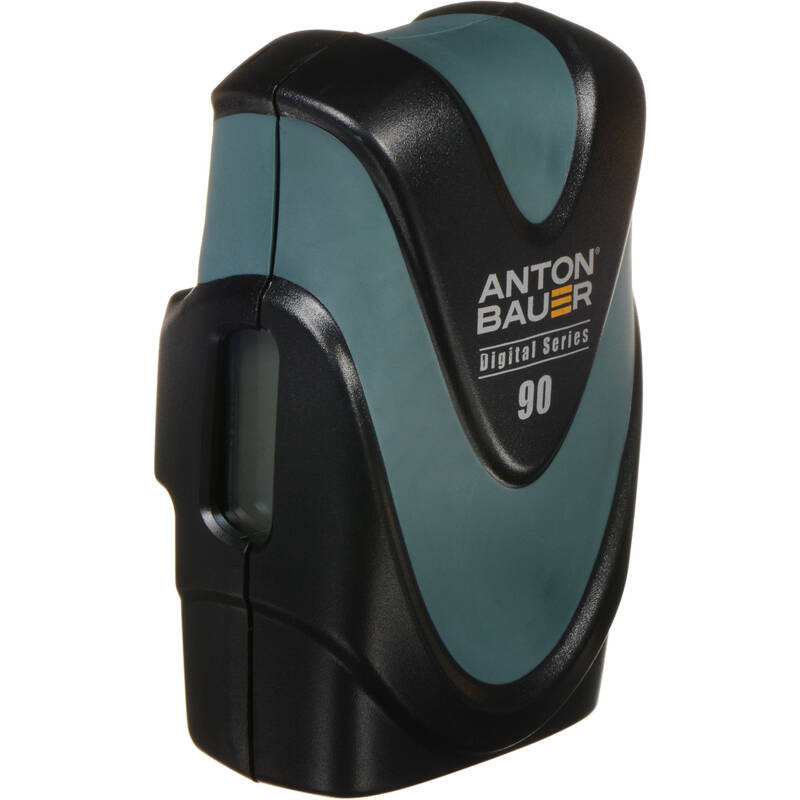 I remember when Anton Bauer was one of the most expensive batteries sold, now the stock batteries for some cameras are more expensive that the Anton's and usually hold less charge. It may be big but it's great for balancing out my EX3. Really like the new look as well. Hopefully B&H keeps this awesome pricing for a while because I will be buying more. Is this compatible with the Panasonic ag-hpx370? Would the Digital 90 give the Arri Alexa classic a charge? Can you use this to power a Dracast LED 500? Are these approved to be brought on a flight? Simple answer is yes. These batteries fall into the FAA's category of smaller batteries, under 100Wh. The full FAA spec can be read on Anton Bauer's website. Type in airline passengers and batteries. They are both dual chargers of the latest design able to correct assess each battery and correctly apply the appropriate charging program for it. The ANPERFDUAL is ergonomic and useful in the field. The ANLP2DGMC is smaller and very appropriate for video production facilities in need of a number of chargers to be used in a compact space. The value of these chargers for any particular situation is up to the customer. I was recently on a shoot and we were using V-Mounts to power our lights, but didn't have a dual V-Mount charger, instead we charged from a D.C. to D-Tap. Do these batteries come with that ability of should I buy the charger 1st, then the batteries? It doesn't say what it comes with in the box. These batteries do have the D-tap connection built in but I have never tried charging through the d-tap. I have the dual charger and it works great. I know the d-tap will supply power, but I've never used a d-tap to charge the battery. What is the difference between this battery and the Anton Bauer DIONIC-HC Lithium-Ion Battery, which is almost twice the price? everything is, this battery is better in so many ways, better chemistry better design the read out gives percentages when no load is on it so if you travel with it you can show that only 30% charge exists which is allowed by the FAA to travel with you. And the new charger has many options you wind believe. So to charge this $284 battery, I need a charger that costs 3-4x as much? I'm always concerned for the battery life when using a third party charger.